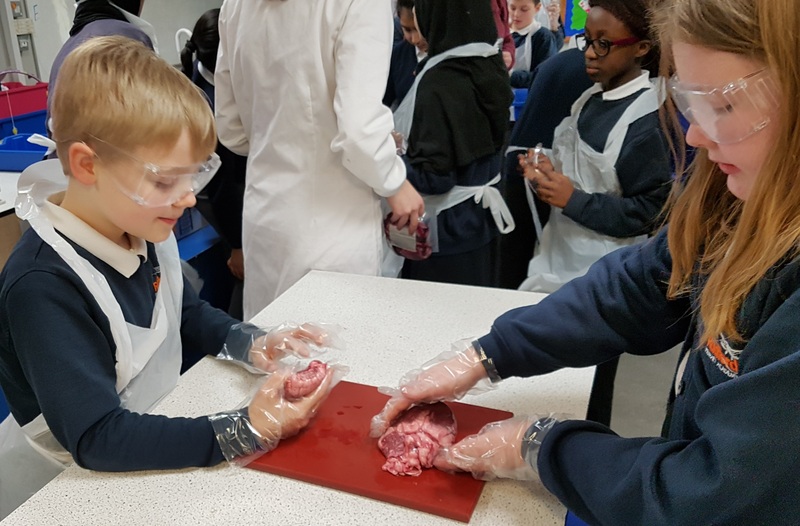 Home » News » Radford Primary Academy dissect a heart! 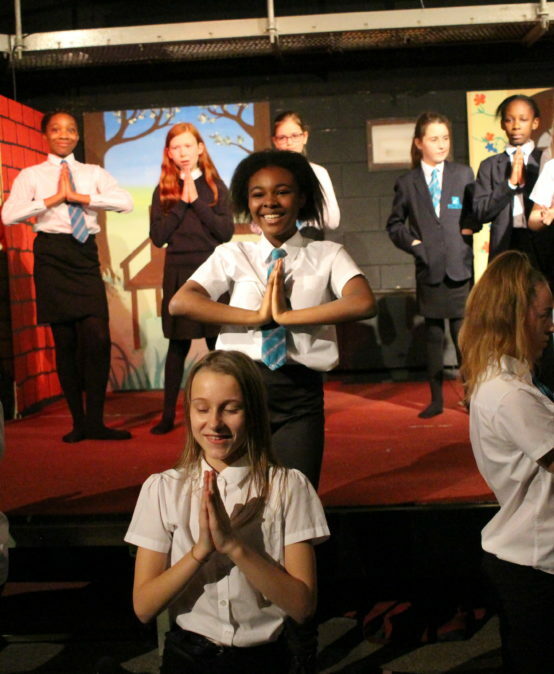 This week we welcomed year 6 pupils from Radford Primary Academy for an exciting Science lesson! 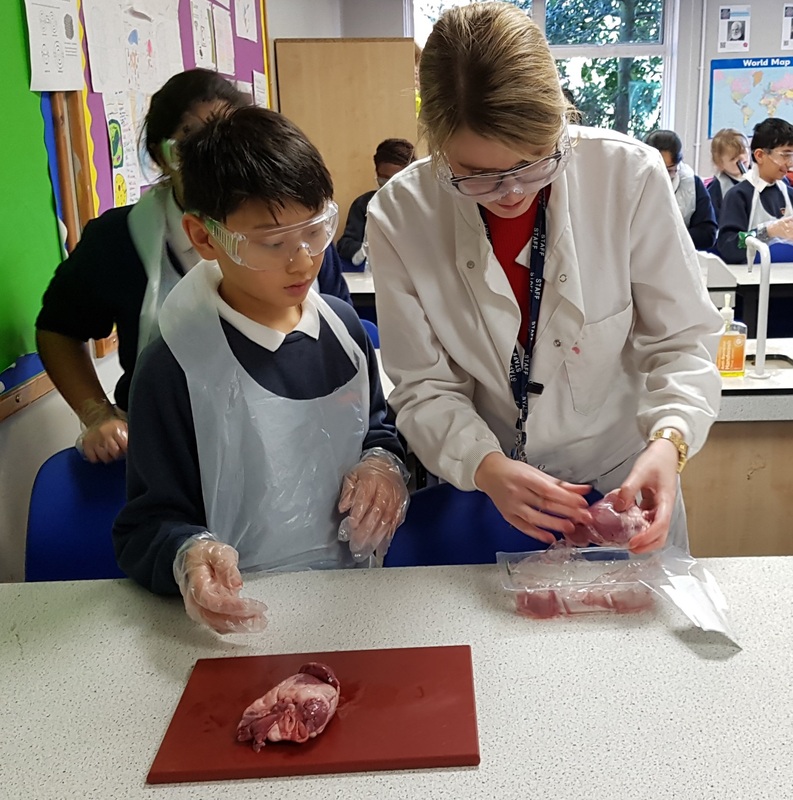 Students spent the lesson learning about the heart and how it works, keeping the body functioning and using certain vessels and muscles. 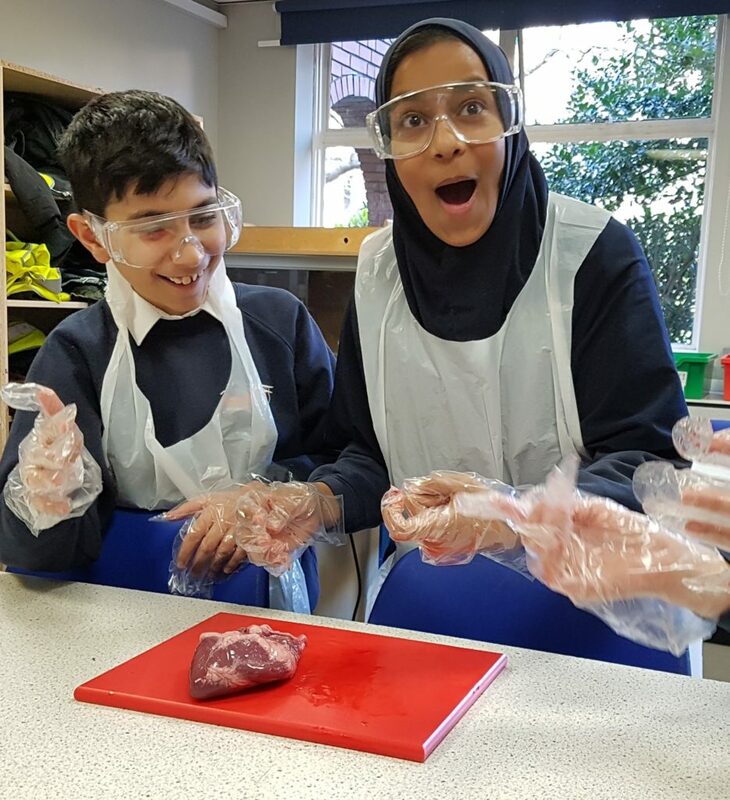 As the room filled with squeals and surprise, year 6 also had the opportunity to dissect a real heart! 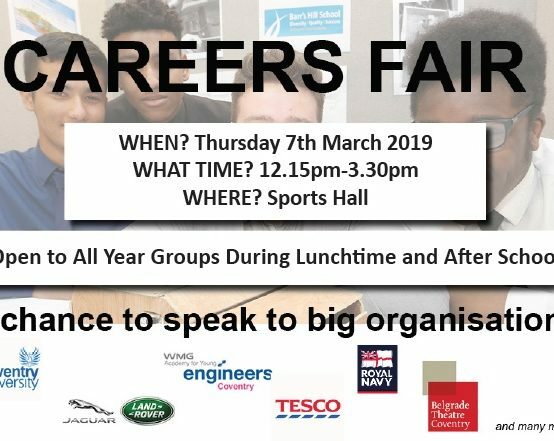 Here at Barr’s Hill School we like to create opportunities for our students. We believe they can thrive and become the best individuals that we know they are.